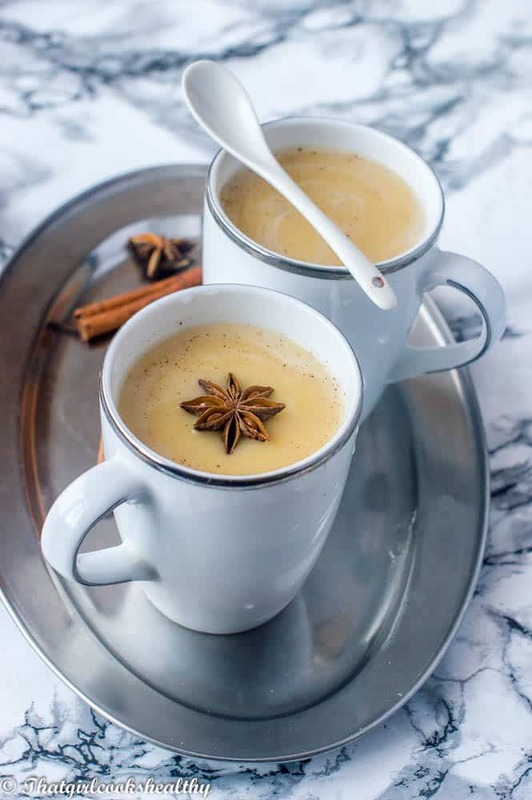 Akasan recipe – learn how to make this vegan rendition of this popular Haitian drink made from corn flour, star anise, cinnamon and plant based milk. They say that the most important meal of the day is breakfast and I truly believe it is. That’s why I’m showcasing this popular breakfast recipe courtesy of the Haitian people called Akasan. This drink is incredibly tasty, filling and oh so flavoursome. I also took the liberty of making it dairy free for people are vegan or lactose intolerant. Akasan aka ak100 drink originates from the island of Haiti. This beverage is typically served hot or cold for breakfast and great for people who are on the go. 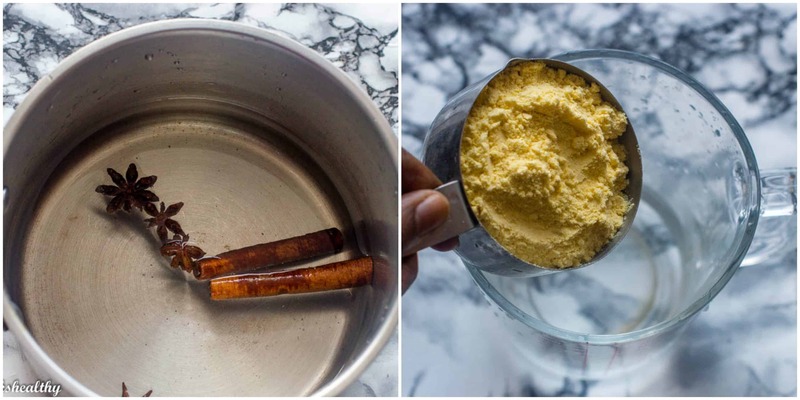 The ingredients consists of yellow corn flour, star anise, salt, vanilla, cinnamon, nutmeg and evaporated milk. When I first came across this recipe I was immediately intrigued. Each Caribbean island, be it French, Spanish or Dutch colony, all share some similarities. Breakfast is very important to Caribbean people with porridge being a popular choice and I’m not referring to plain ole oatmeal. 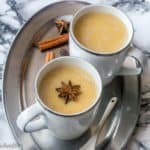 What instantly draw my attention to this recipe was the similarities to Jamaican cornmeal porridge. Akasan certainly looks like the porridge I grew to love. 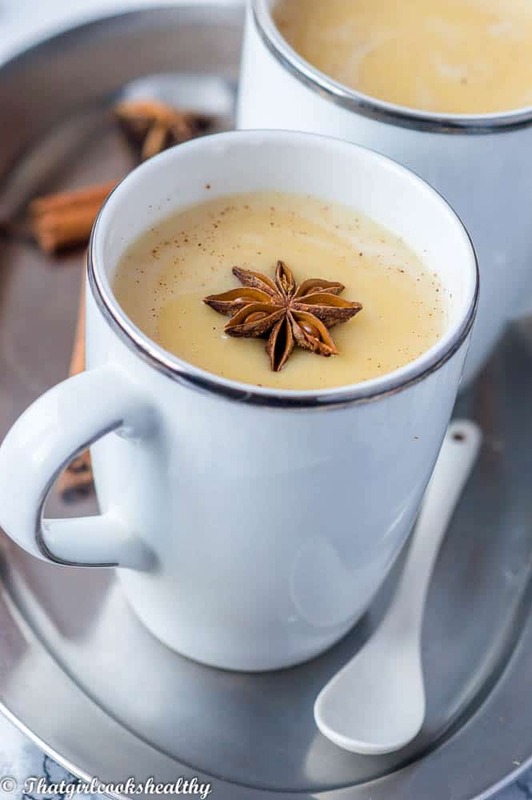 The key difference is the use of star anise, the lack of condensed milk to sweeten to taste and the texture is thinner. I suppose in a sense you could summarise ak100 as a Haitian corn flour porridge. Regardless I really enjoyed my Haitian akasan experience. 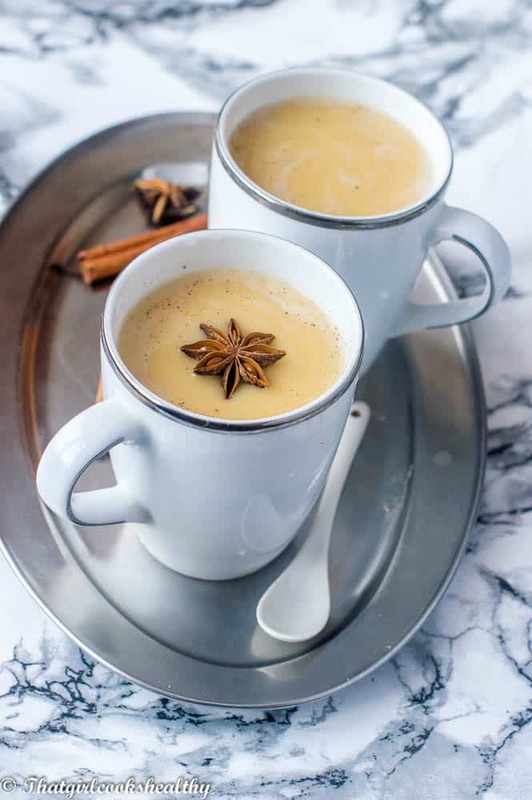 The flavour from the star anise really comes through and compliments the cinnamon so well. I will definitely be having this on a weekly basis. 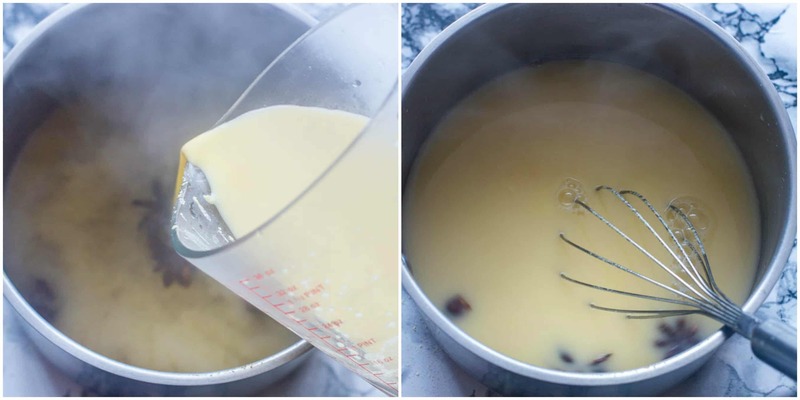 Boiling the water – I start by bring the water to the boil along with the star anise and cinnamon sticks. Wait for the water to darken from the extracts of the anise which should take roughly 10 minutes to achieve. Once it’s slightly reddish-brown move along to the next step. 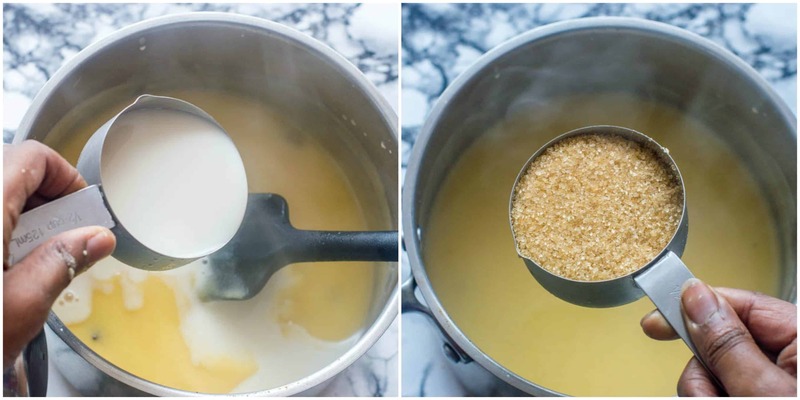 Mixing the corn flour with water – I use 1 cup of water and mix it with the cornflour to form a paste. Once mixed, I carefully poured it into the boiling water while stirring to avoid any lumps. Adding the spices, milk and salt – once the akasan has formed, fix it up with your nutmeg, dash of pink salt and almond milk. As the almond milk is added you will notice the consistency to be thin like a shake. Sweetening – As always I used my coconut sugar because it’s a slow releasing sweetener. I only used about 1/4 or 1/3 of a cup. Sweetness is really down to the preference of the individual, so you decide! Can I use extra fine cornmeal if I can’t get hold and yellow corn flour? Yes, they are very much similar and it give the same results. Where can I purchase yellow corn flour? Any ethnic grocery store – think African, Latino, Caribbean should stock or online where I have listed the ingredients you need using a hyperlink. Add the cornflour to a jug and whisk into a smooth paste with the cup of water. Slowly pour the cornflour paste into the saucepan with the boiling water, whisking to avoid any lumps. Bring the 4 cups of water to the boil with the star anise and cinnamon sticks for roughly 10 minutes until the water is slightly reddish-brown in colour. 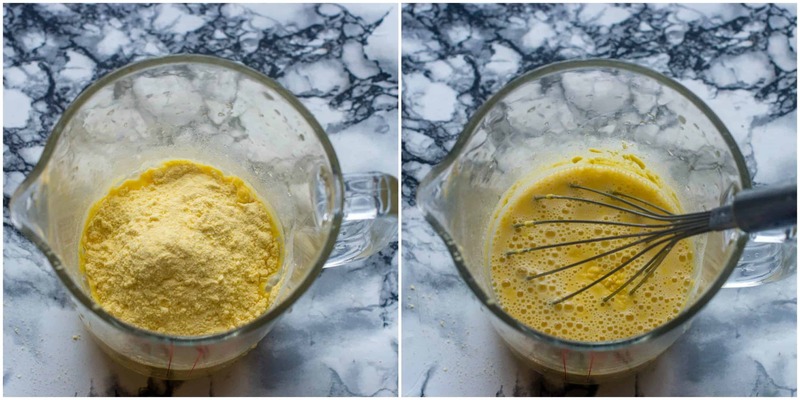 Mix the cornflour with 1 cup of water into a paste. Reduce the saucepan with boiling water to low, then carefully pour the cornflour mixture into the pan while stirring to avoid any lumps. Simmer for another 7 minutes, continuing to stir until it thickens slightly. This looks great! I’d guess it’s a cousin of atole of the US Southwest, Mexico, and Central America. Do you know the origin of the name? Agua sana would be “healthy water” in Spanish, but it might be a stretch that the name came from that. I’m not privy to the origins of the name but it’s definitely akin to atole. Thanks for stopping by Karina.